Register here now for the full weekend! *All pre- and post-conference seminars may be purchased whether or not you are attending the Self-Empowered Wisdom conference. Self-Empowered Wisdom offers all you’ve come to expect from us – dynamic speakers, cutting-edge science and quantum physics along with heart-opening meditations and interactive presentations – and our 2019 event continues this “Stellar” tradition. Coming together as one heart and mind in the Spirit of conscious conversation! Listen deeply to your soul's calling and awaken to your path and purpose in the magical destination of Sedona. Let go of a routine that no longer serves you and delve within, awakening to your most authentic self and embrace bliss in an infinite field of possibility. 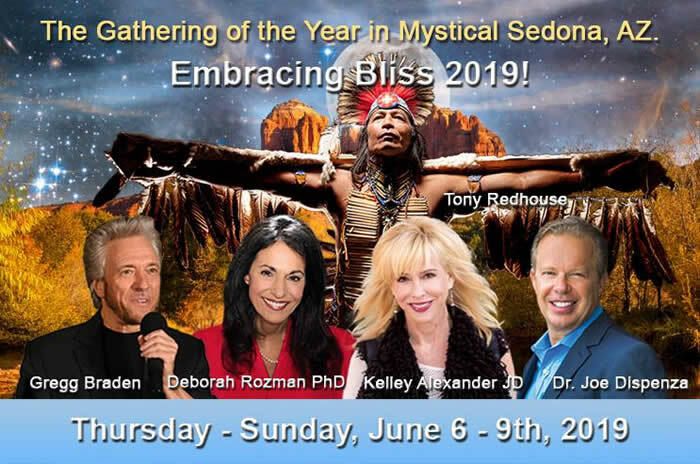 Imagine an opening ceremony with Tony Redhouse, Navajo hoop dancer, listening to Dr. Joe Dispenza, Gregg Braden, HeartMath CEO Dr. Deborah Rozman and Kelley Alexander in a room filled with a like-minded community. Film night, on Saturday evening. And closing interactive experience with Havasupai elder, Uqualla. Picture yourself gazing up into the star-filled Sedona night sky in June – a perfect time to explore the galaxies above this mystical city. 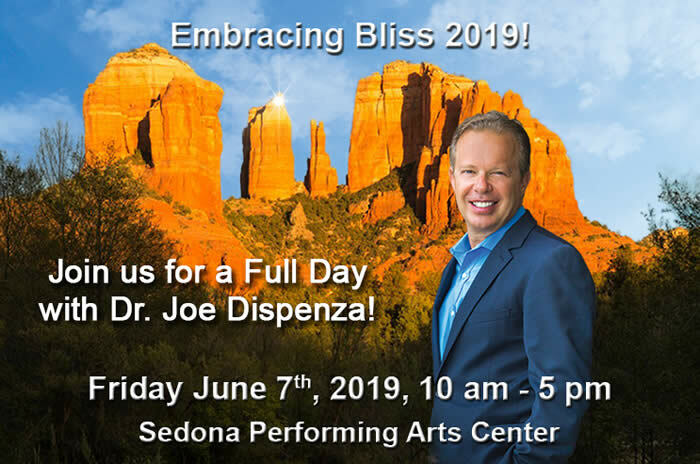 Register here for the Pre-conference optional full day with Dr. Joe! Register here for the full weekend!